こちらからご覧ください HERE for PyeongChang 2018’s Effects of Hosting the Games. 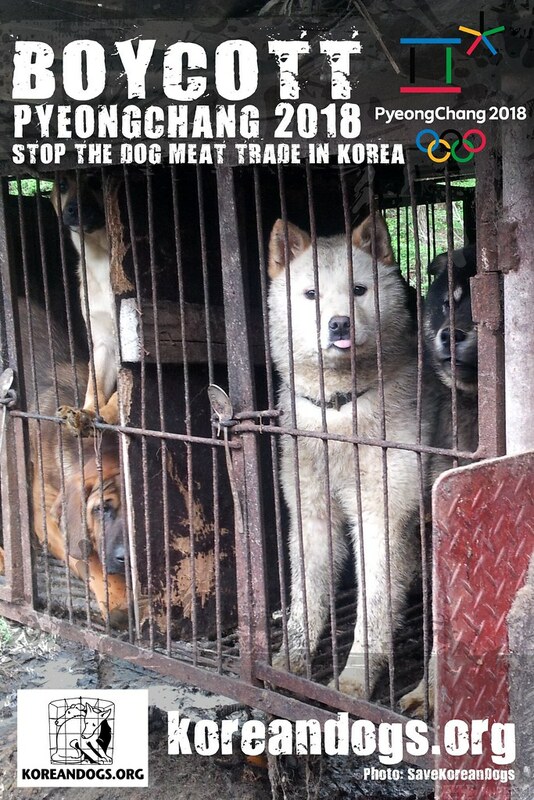 South Korea, your Economic Revitalization can be better achieved by permanently ending the dog/cat meat trade, as this will show that you have, indeed, joined the League of Advanced Countries and that you are a country whose exports the international community would be keen to buy. And, importantly, we believe that eradicating this evil practice will create sincere peace and harmony amongst all of your people. These are the Effects that you should be aiming for as hosts of the 2018 Winter Olympics Games. Photo: Dog farm in Yangsan, South Korea. Nami Kim Team.